As Hollywood gears up for the premiere of “Voyage of Time: The IMAX Experience,” Brad Pitt, the film’s narrator, will not be in attendance. Brad Pitt will miss the Sept. 28 screening, after his recent divorce from Angelina Jolie has given him unwanted attention. “I’m very grateful to be part of such a fascinating educational project, but I’m currently focused on my family situation,” the actor said in a statement to E! News. “Terrence [Malick]’s ‘Voyage of Time’ is an incredibly beautiful and unique experiential IMAX film for children and families chronicling the birth of time. 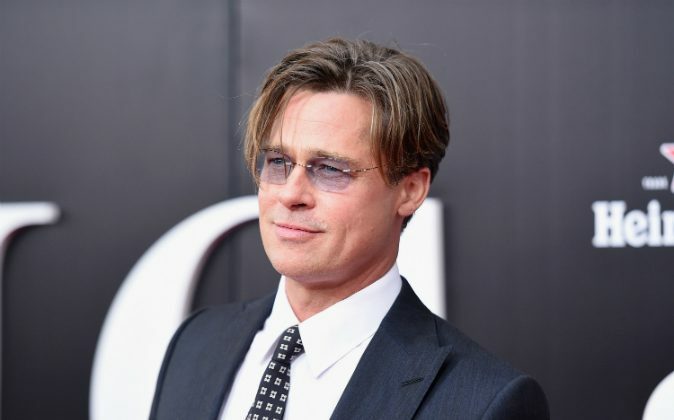 I’m very grateful to be part of such a fascinating and educational project, but I’m currently focused on my family situation and don’t want to distract attention away from this extraordinary film, which I encourage everyone to see,” Pitt told E! News. There is an additional version of the Terrence Malick directed film entitled “Voyage of Time: Life’s Journey.” The non-IMAX version is twice as long at 90 minutes and narrated by Cate Blanchett. The date for its release has yet to be revealed. The announcement of Pitt and Jolie’s divorce stunned Hollywood, including friend George Clooney. The pair’s separation has been marred with allegations against Pitt, who is said to have verbally and physically attacked his son on a private jet. It was first reported that the Los Angeles Police Department were investigating the claims, which it denied. Shortly after, the FBI released a statement stating it is “continuing to gather facts” about the abuse accusation, which Pitt vehemently denies ever happening. Jolie has petitioned the court for sole physical custody of the children—Maddox, 15, Pax, 12, Zahara, 11, Shiloh, 10, and eight-year-old twins Knox and Vivienne—and visitation rights for Pitt. “Voyage of Time: The IMAX Experience” will be shown exclusively in IMAX theaters nationwide beginning Oct. 7.